Rob Cesternino and Josh Wigler being a weekly journey to look back at one season of 24 a week leading up until the premiere of 24: Live Another Day in May. Rob and Josh get the ball rolling by starting with a recap of 24 Season 1. Josh starts by recapping the events which begin Jack Bauer’s really bad day; it’s a gradual progression from seeing him as a normal dude to being a total superhero;. Josh highlights what was s the best and worst part. Kiefer Sutherland delivers an iconic performance as Jack Bauer. Turning to Jack’s family, Rob and Josh rehash some of the more unbelievable things that happen to Teri and Kim Bauer during the show. Rob and Josh agree that the amnesia plot is THE WORST. However, Kim’s day is awesome compared to the nightmare that is Day 2. Rob asks Josh to discuss whether or not he felt like Nina Meyers being a mole was believable on rewatch. Josh says that it held up for him because there are several looks that Nina gives which could be read a number of different ways. Josh felt like she sold it. 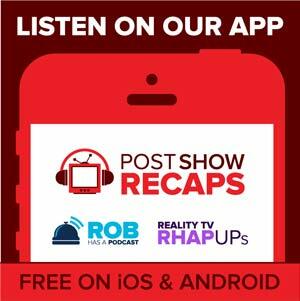 Rob and Josh discuss the storyline of David Palmer and Rob thinks that Barack Obama capitalized on a lot of the goodwill that was built up by David Palmer. Josh describes more about the motives of what Sherry Palmer was up to and what David Palmer actually knew about the man murdered by his son. Josh gushes with his Tony Almeida appreciation. In season 1 we chart his arc from being a total dope to being a total badass. Also, Cub’s mug. Also, soul patch.